Y'all already know how much I love Workshop Wednesdays! 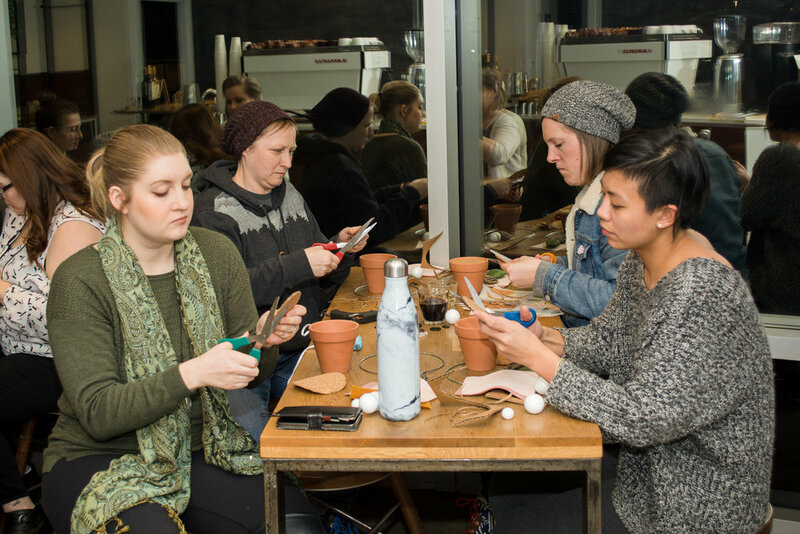 They're a monthly craft workshop in North Vancouver to celebrate local small businesses who want to share their craft with the world and crafty humans who want to learn more! Created by the ever cool, Crissy Tioseco, of Papercuts by Crissy, it embodies one of my fav podcast's motto: Chill Vibes Only. 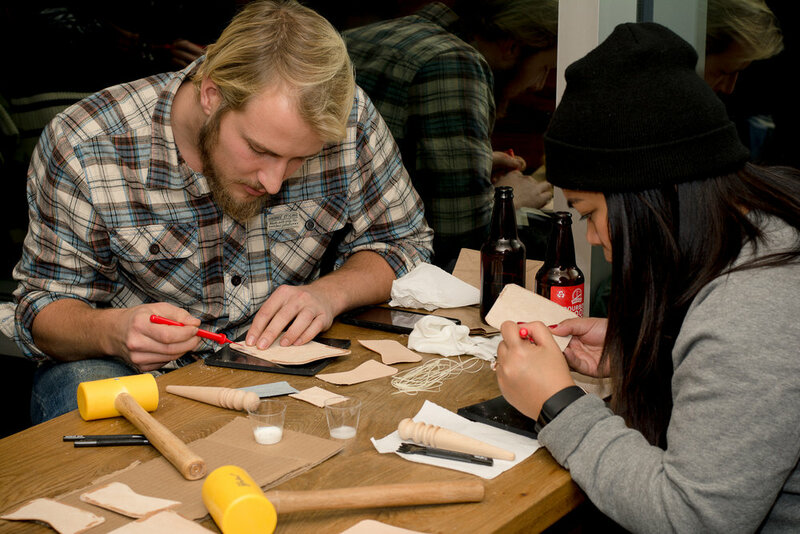 In the winter, Crissy invited Heidi of alwaysstitching to teach us all how to make our own personal little leather wallets. The whole process was fun to watch, especially since Crissy's pop join the crew and totally killed it! Next up, Workshop Wednesday featured Susanna of Oh Susanna Makes who creates felt botanical creations of all sorts. This is right up my alley, because if you ever see my office (or rather, if I ever manage to show it!) you'll see there's a literal plant graveyard of all the plants I've managed to kill over the years. These tiny cacti were adorable, and it was so cool to see everyone's personality pop in their own pots! Workshop Wednesdays is still going hella strong, so come out and join us! The full line up for the summer is up and you can register now!